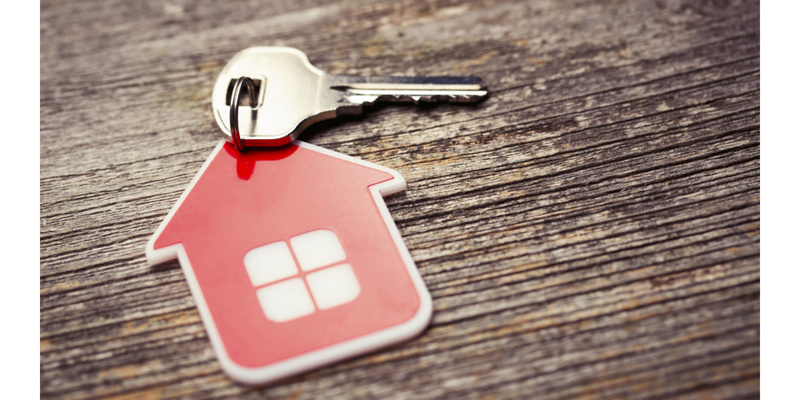 New data shows landlords are increasingly reluctant to buy property in recent months, following a raft of new regulations – but are you up-to-date with your obligations? Statistics from the Council of Mortgage Lenders (CML) show property transactions are slowing and buy-to-let lending has dropped by as much as 16% month on month. The slump in activity comes after significant changes were introduced over the last couple of years that have changed the way landlords operate. While it’s an uncertain time, property can still be a good investment in some instances – but you’ll need to get your head around the various new regulations and legal requirements. Here are a dozen things you need to be aware of as a landlord in today’s market. Before April this year, landlords could deduct their mortgage interest costs from their income when calculating their tax bill. Now though, you can only offset 75% of your mortgage interest, and this figure is being gradually reduced to zero by 2020. Instead, landlords can claim a tax credit worth 20% of their mortgage interest – a change which will hit high-earning landlords hardest. Until 2016, landlords letting furnished homes could deduct 10% of the annual rent from their profits before they paid tax to account for ‘wear and tear’. This ‘wear and tear’ allowance was permitted regardless of whether they had actually spent any money on furnishings that tax year. According to the new taxation rules, landlords can only deduct the cost of replacing or repairing household items like-for-like. Under ‘Right to Rent’ legislation which came in to force in February 2016, landlords have to ensure their tenants have the legal right to live in the UK. This involves checking passport or visa paperwork before the lease is signed. If you use a letting agent to manage your property, they’ll usually deal with this on your behalf, but the consequences are severe – if you’re found to be letting to a tenant who is living in the UK illegally, you could face a fine of up to £3,000. Some councils around the UK have introduced their own landlord licensing schemes. Councils can decide whether to adopt ‘selective licensing’ in their area. Those that have adopted licensing schemes require landlords to agree to property management rules, with the threat of significant fines if they fail to do so. As part of the Autumn Statement in 2016, the government announced plans to ban letting agent fees for tenants in England. Currently, tenants usually foot the bill for tenancy agreements, referencing and credit checks, but these costs will now be passed on to landlords. If the government proceeds with the ban, it is unlikely to come into effect until 2018. From 1 April next year, any properties rented out privately must have a minimum emergency performance rating of E or an Energy Performance Certificate (EPC). The rules will apply to new tenancies from April 2018 and for existing tenancies from April 2020. Fines of up to £4,000 can be imposed for landlords who breach the rules. In February, the government released a White Paper on ‘fixing Britain’s broken housing market’. Primarily, the paper focuses on freeing up land for housebuilding, encouraging construction of starter homes and addressing unfair rental practices. With the uncertainty caused by the recent general election, however, it remains to be seen which – if any – policies will be implemented. Landlords need to be aware of market pressures caused by external events. We found that last year’s Brexit vote had little effect on house prices, and any talk of a house price crash has so far been unfounded. That said, transaction levels have been slowing in recent months – if value growth follows suit, property investors may see weaker returns. In 2015, new regulations were brought in surrounding the Section 21 eviction process, requiring landlords to follow the rules around evictions more closely. While these requirements have existed for some time, some self-managing landlords may not be aware of the complexity of the process. Compulsory tenancy deposit schemes have been around for a decade, but there are signs that the deposit system might be beginning to change. From deposit free renting in the build-to-rent sector to apps offering tenancy insurance, a number of schemes are being touted as a new alternative – so it’s important for landlords to keep abreast of the latest trends and technology. Last year, the Bank of England announced it would introduce tougher new requirements for buy-to-let borrowers. The new rules require landlords to bring in higher levels of rent relative to their mortgage costs. In addition, landlords with four or more properties will face additional stress testing, and be required to provide more information about their income and debts. The stamp duty surcharge – taking effect in April 2016 – is arguably the most divisive of the measures introduced to cool the private rental sector. The 3% surcharge means, for example, that a landlord buying a £200,000 home would now pay £7,500 in stamp duty, compared to just £1,500 before the changes. Landlords need to factor in these additional costs before making a new purchase. Your home may be repossessed if you do not keep up repayments on your mortgage. Which? Limited is an Introducer Appointed Representative of Which? Financial Services Limited, which is authorised and regulated by the Financial Conduct Authority (FRN 527029). Which? Mortgage Advisers and Which? Money Compare are trading names of Which? Financial Services Limited.